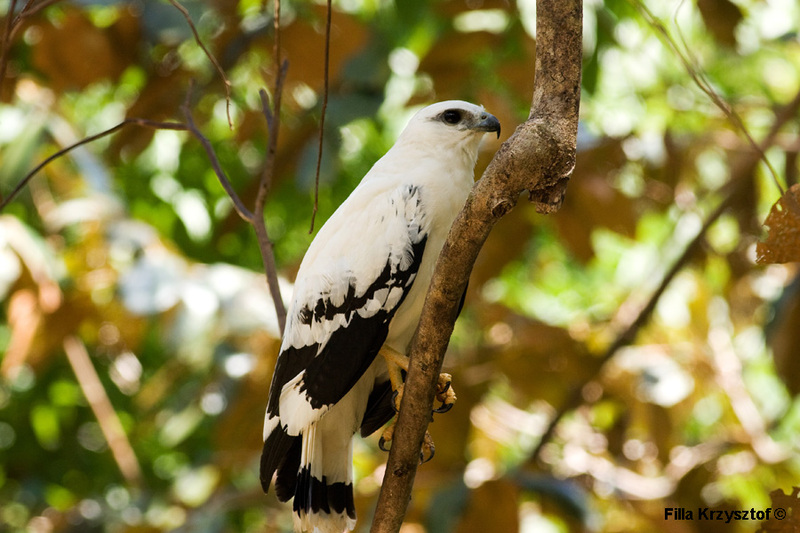 The white hawk (Pseudastur albicollis) is a widespread raptor of Neotropical forests. They often accompany the capuchin monkeys and catch small vertebrates that escape the monkey. When I photographed the bird for a second I thought I will have the monkey and the bird in one frame.